If you love Christmas time as much as us I bet the thought of Gourmet Turkey & Cranberry with Sweet Potato is going down pretty well! We wanted our dogs to have this buzz all year round and have released a high quality dog food with the added love and affection they deserve. Tasty….yes, but it’s also full of vital vitamins and minerals to enrich their lives. High meat content, Grain-Free and full of healthy fruit & vegetables. 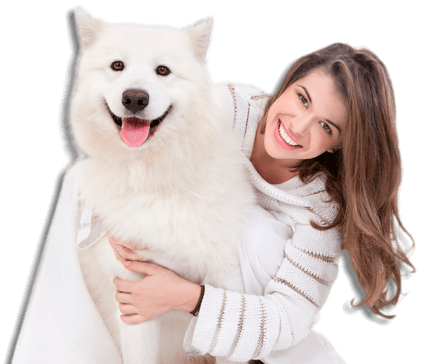 Peace of mind their diet is healthy, natural and hypoallergenic. Full of really good things. Amino acids, Vitamins and Minerals to help them feel great! No smelly, yukky stools on this diet! 50% Turkey with perfectly matched Cranberry and Sweet Potato is as close to a gourmet dogs dinner you can get. 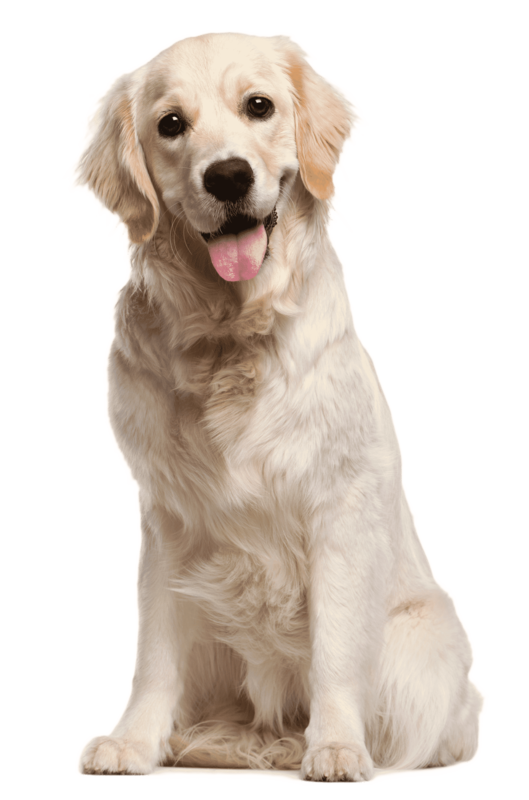 It’s grain free making it really gentle on our dogs digestion and because of the quality ingredients stool issues will be a thing of the past. Watch them bound to the bowl every dinner time! 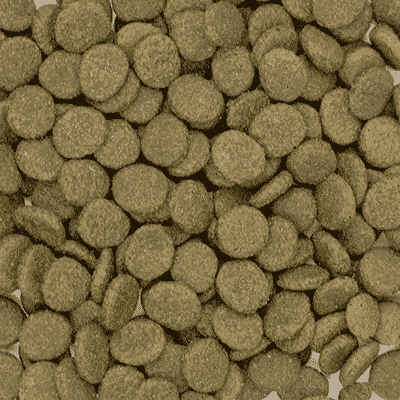 It also comes packed full of minerals and vitamins that help our dogs stay in tip-top condition for longer. 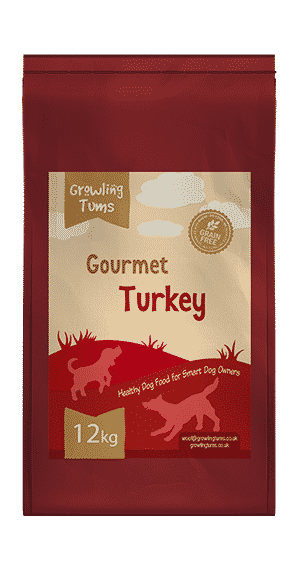 Turkey and Cranberry match perfectly with the Sweet Potato and give our dogs a taste selection they love. A human quality protein source that dogs will go out of their way for. Dogs love the taste of Turkey. And this food has more of it that normal dog foods. Shaka has this for his breakfast & raw diet in the evening. At first he loved it but then after a week or so he was reluctant to eat it. I thought it maybe the dryness so I now add either left over gravy or a stock cube or honey water & let it soak for 5 minutes, he now eats it with a waggy tail ! I would have given it 5 stars but for this hiccup. Also his poo is 100% better no more squishy just solid & less of it. He was having shop bought kibble before & this is far superior, plus we feed him less as it’s full of goodness not fillers. My Springer Spaniel is 11 and absolutely loves this, he has had problems going to the loo in the past but never on this. I would argue though that he can still lay the occasional stinker that makes you think you have brake fluid in your throat! this is in response to the claim of no more smelly stools. I’m a returning customer and this is my third bag of Growling Tums dog food. As I have come to expect this food is second to non. Our Westie, Flynn, loves the stuff. He used to have runny stools but that is no more. His coat looks healthier than ever. Good quality food which I actually love to feed my dog. Boss my rotti furbaby has been on Growling Tums since we took him home over 2yrs ago about a month of shop bought kibble and many poos and stinking trumps later looked into Grain Free for the rearend issues and because of possible skin ailments of this breed. Fed him large breed for the first yr to give his bones a good solid start in life (as we knew they’d have to carry a good weight around as he was growing up) Boss loves this kibble I am bad and add a pouch of meat or a tin of tuna in sunflower oil he everything in moderation has to be a good thing. Would well recommend these foods the are good quality and delivery is excellent too.